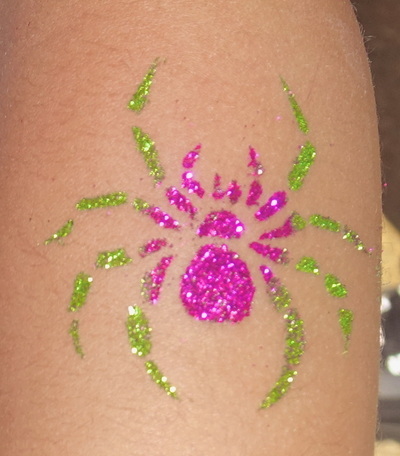 They are a great alternative for your parties and events. 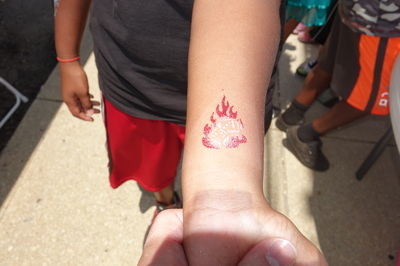 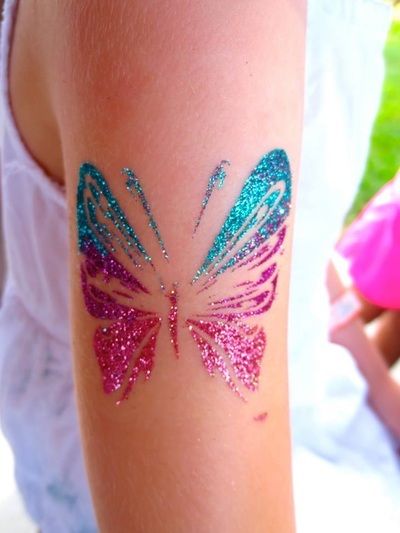 They attract younger and older kids, teenagers and adults alike. They are great for pool parties since they do not wash off and can last for various days with proper care or can be removed with rubbing alcohol or baby oil if so desired. 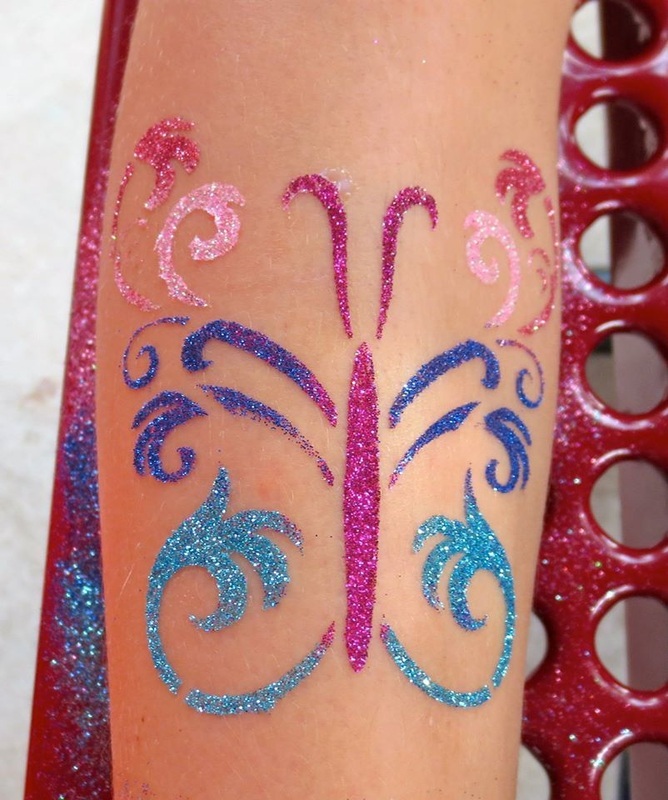 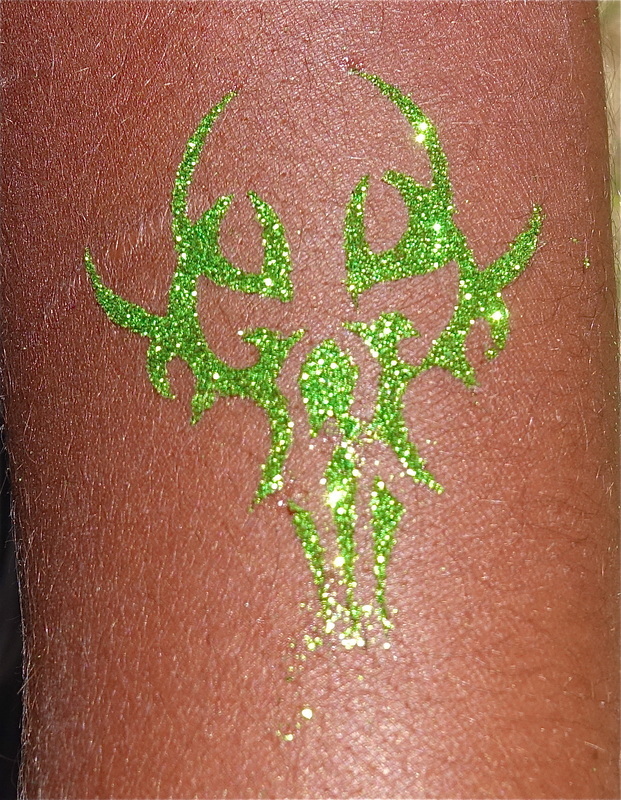 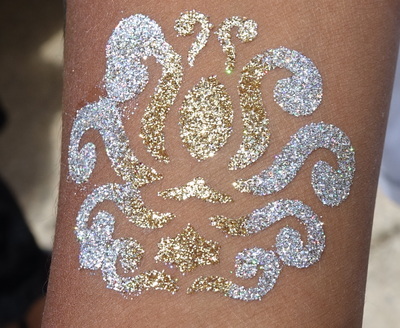 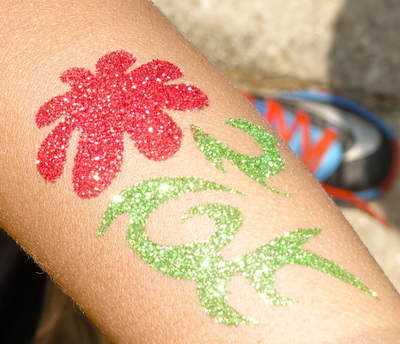 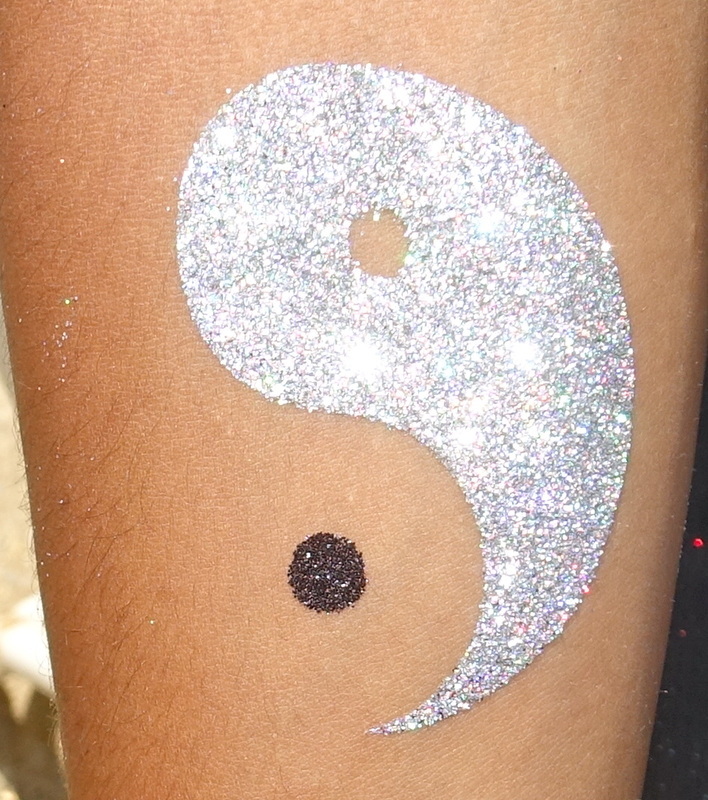 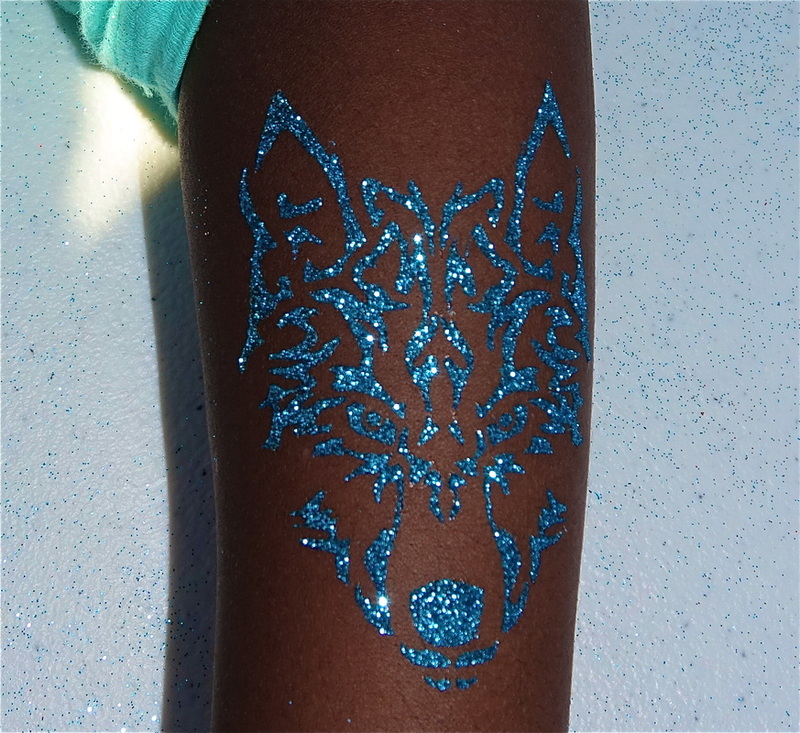 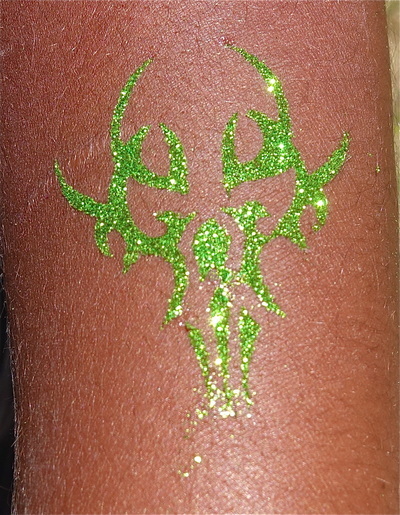 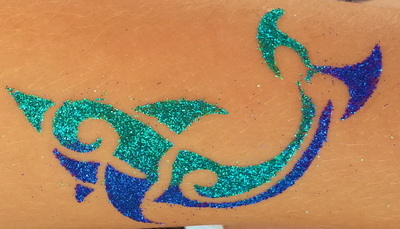 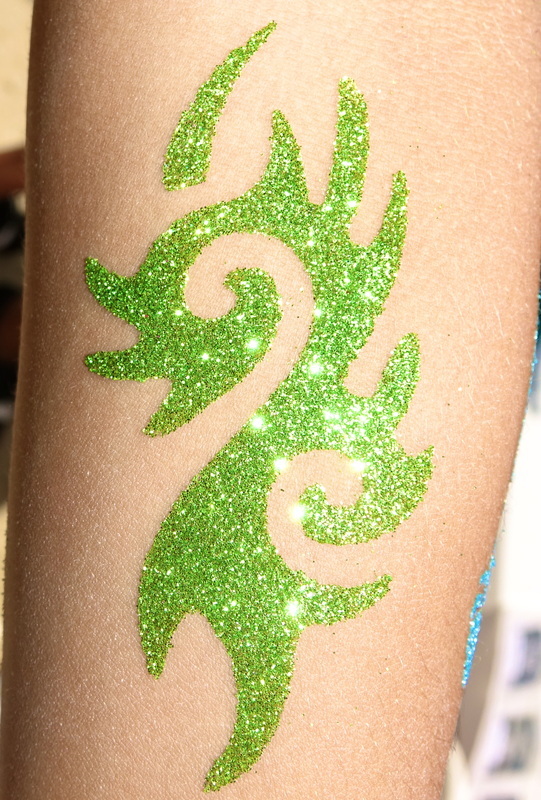 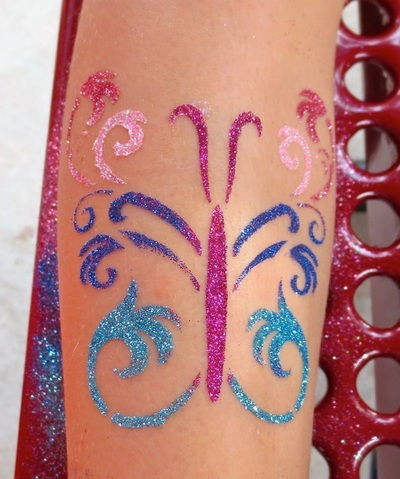 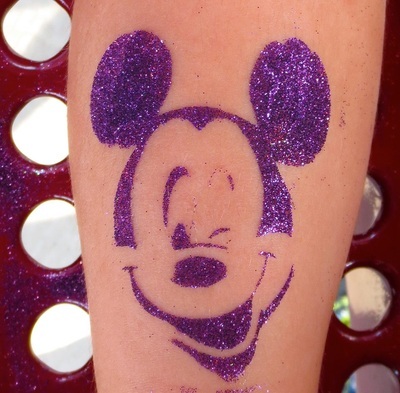 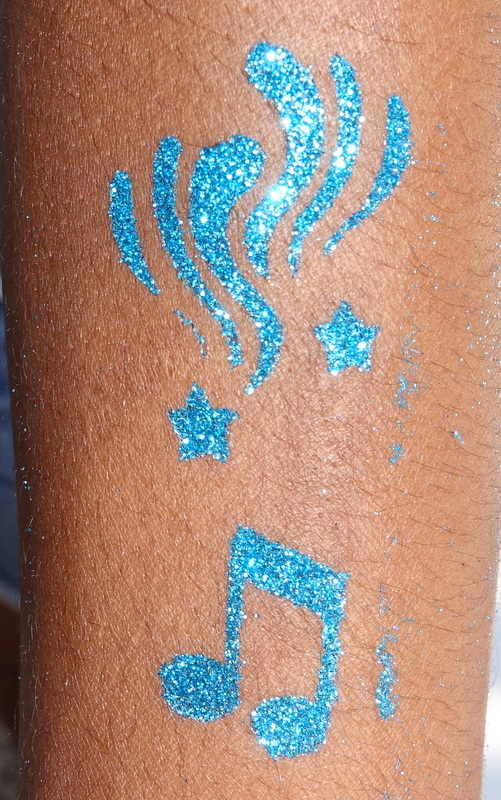 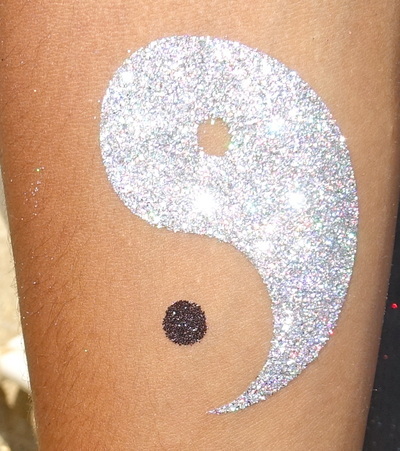 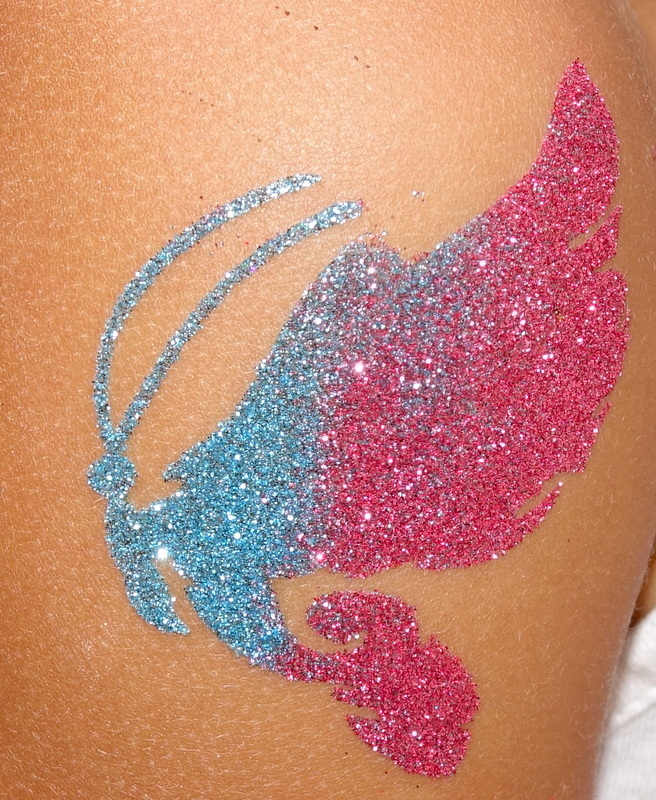 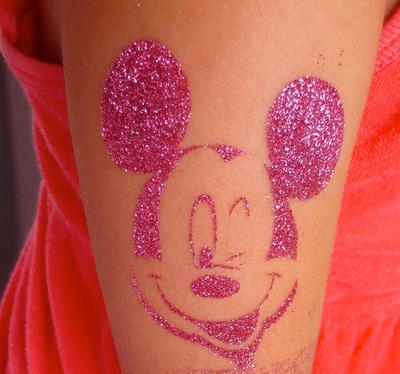 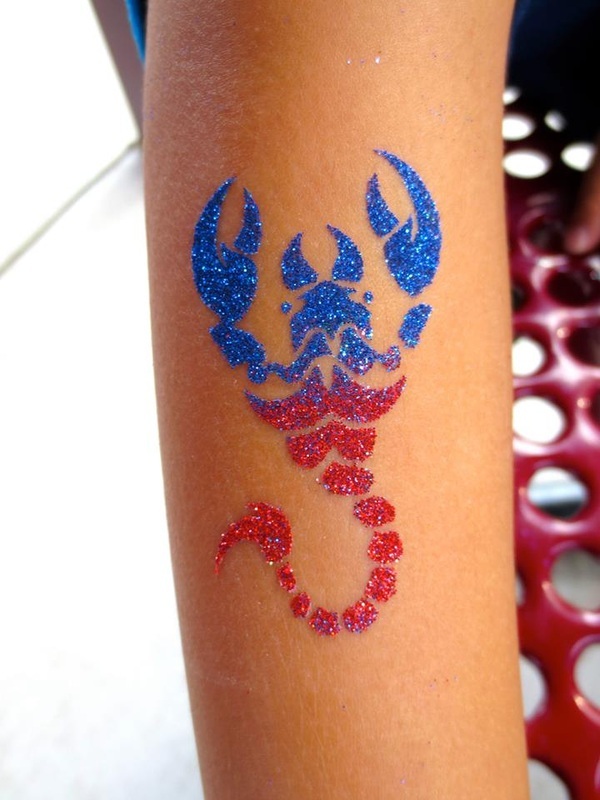 Glitter tattoos are applied by wiping the application area with alcohol to remove any body oil or impurities, applying a stencil of your desire (our artists have an extensive menu of designs to choose from), body glue and then glitter of different colors. 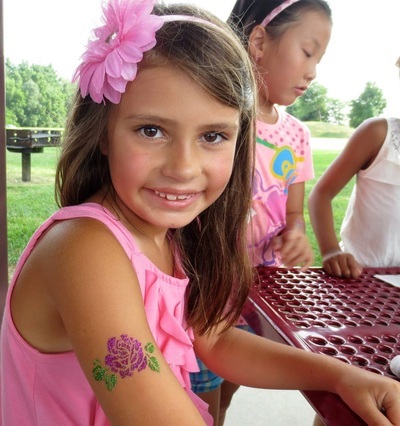 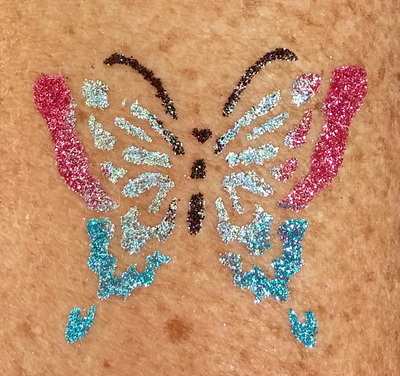 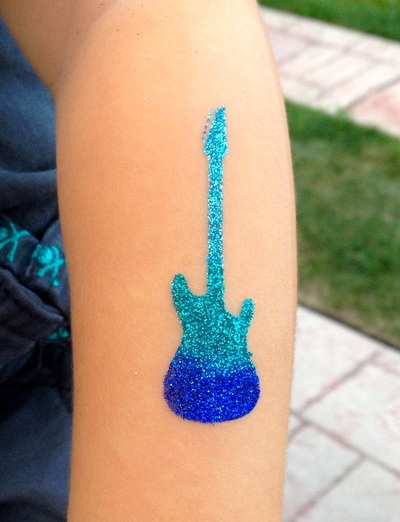 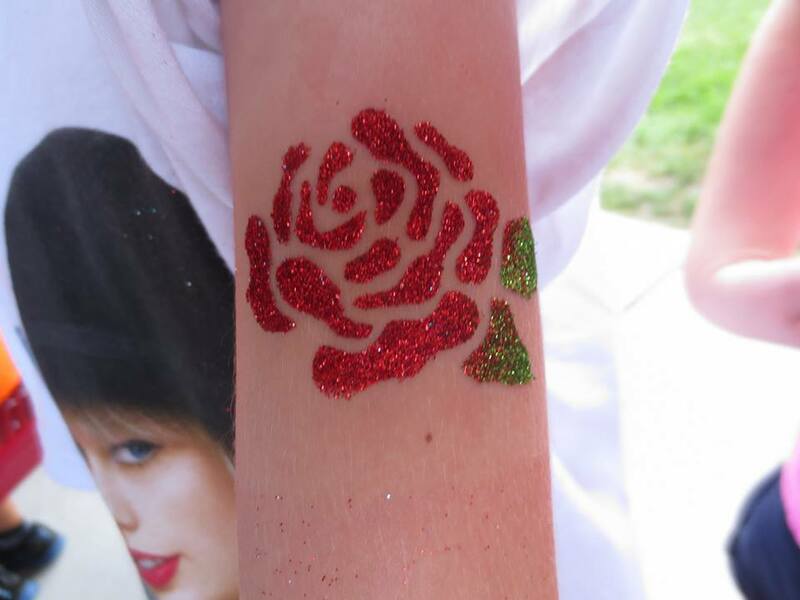 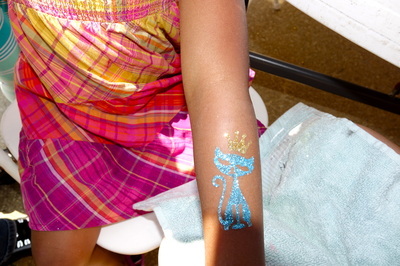 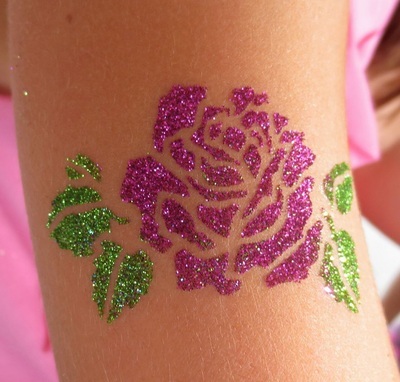 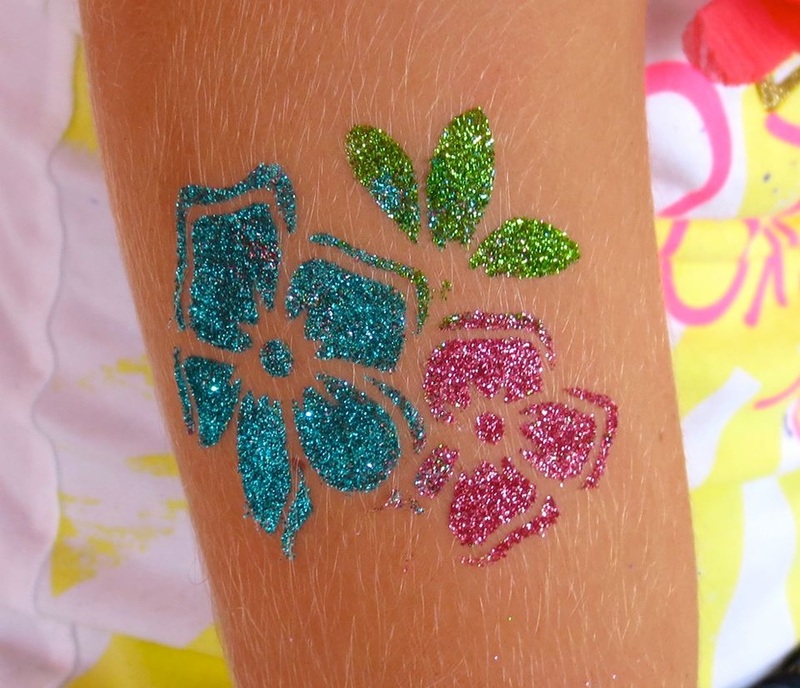 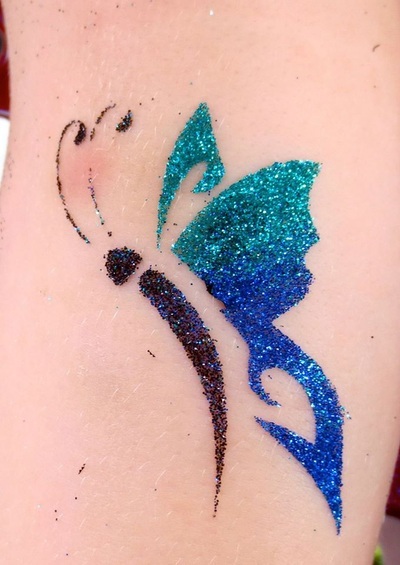 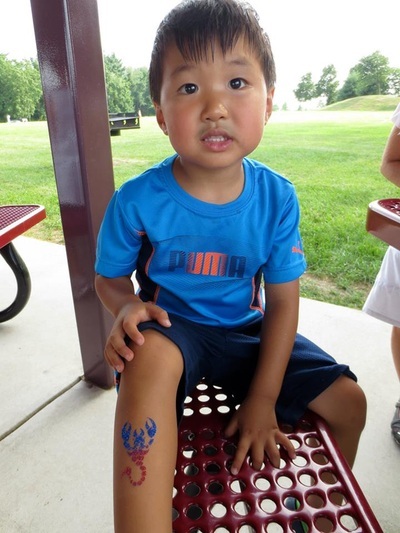 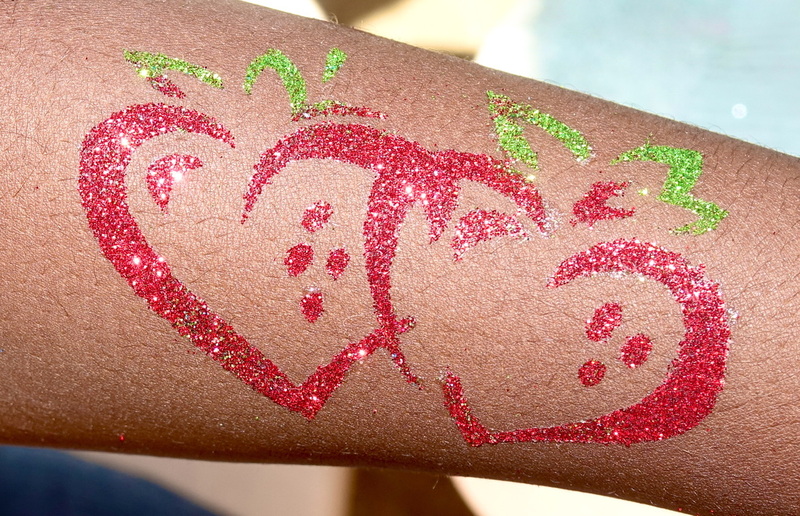 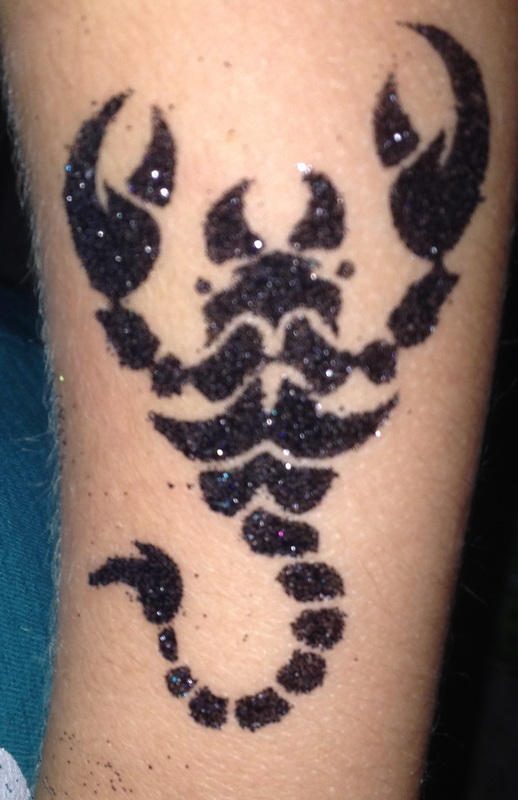 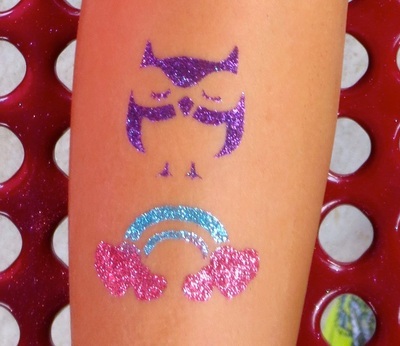 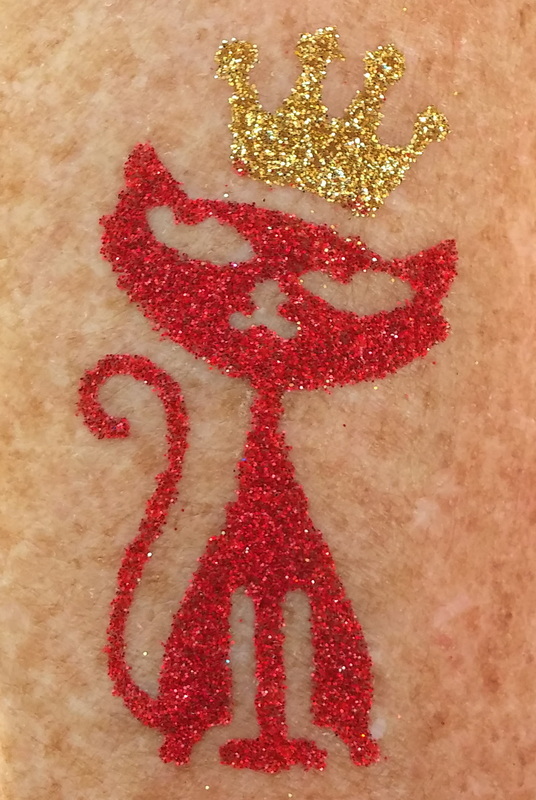 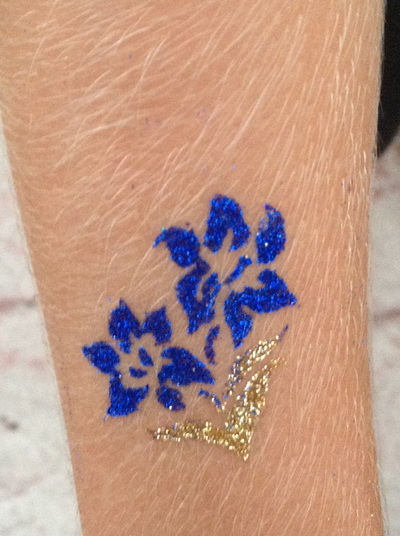 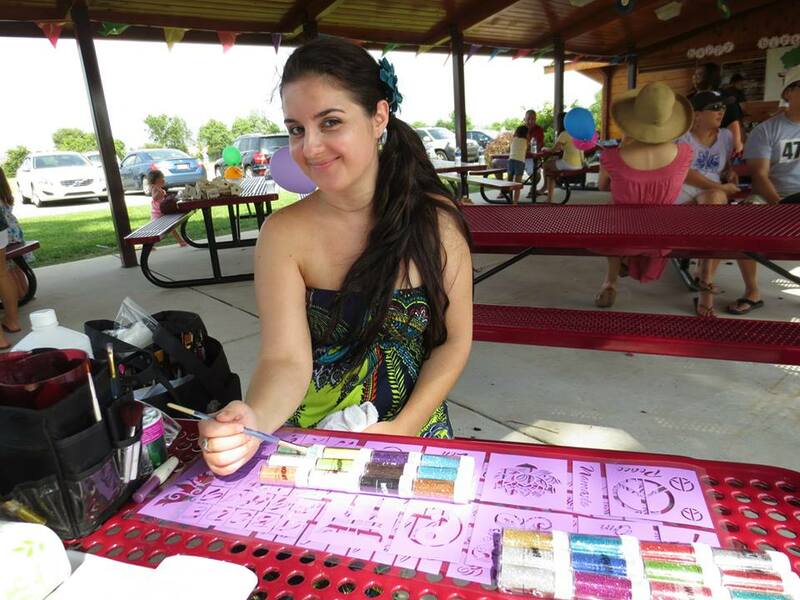 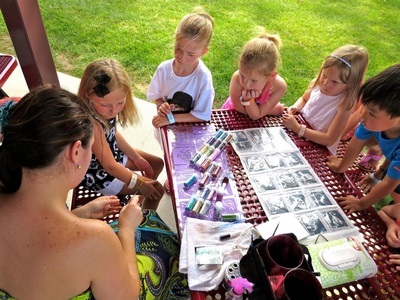 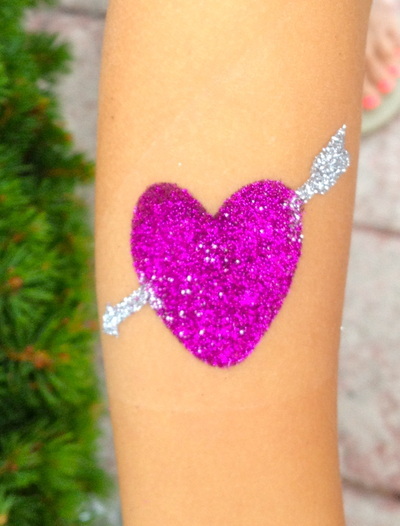 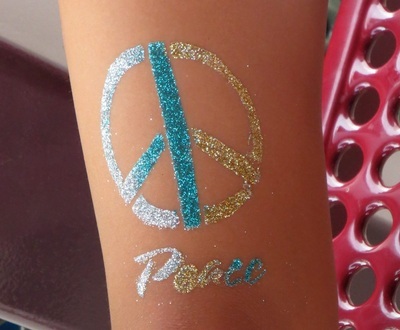 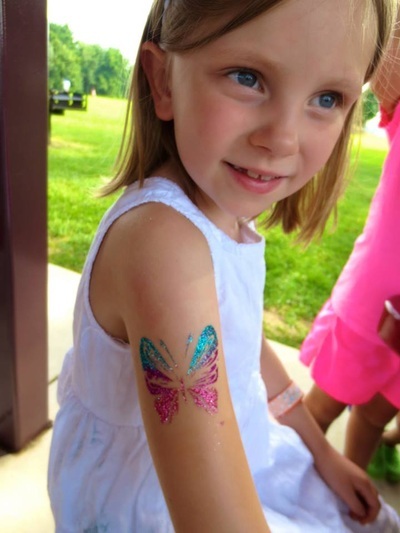 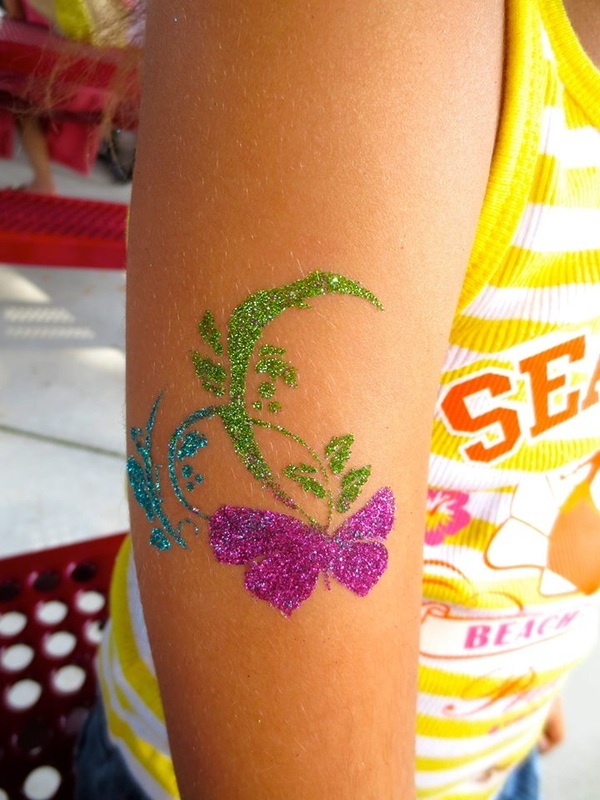 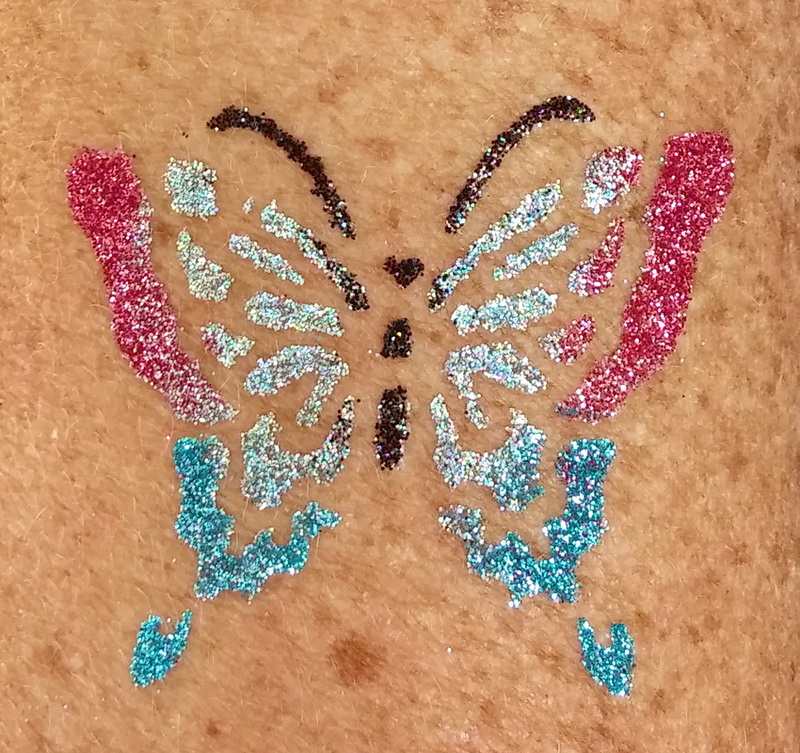 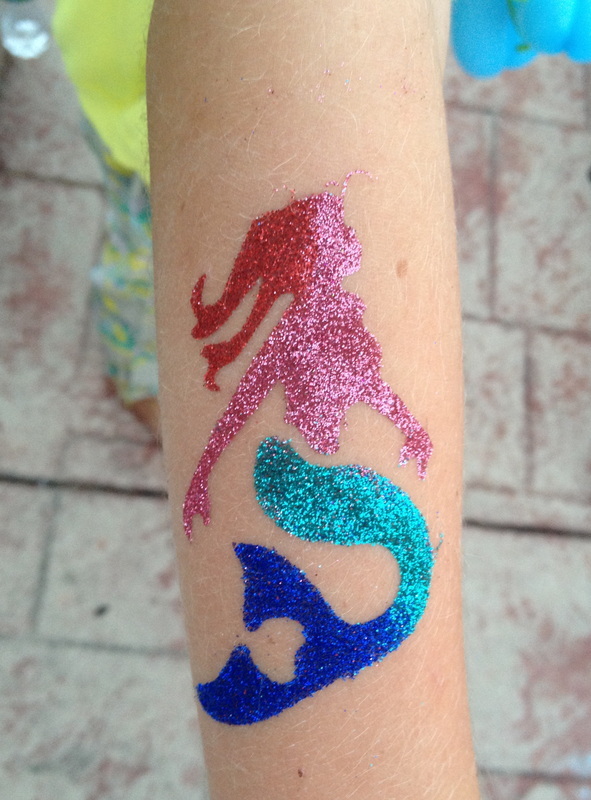 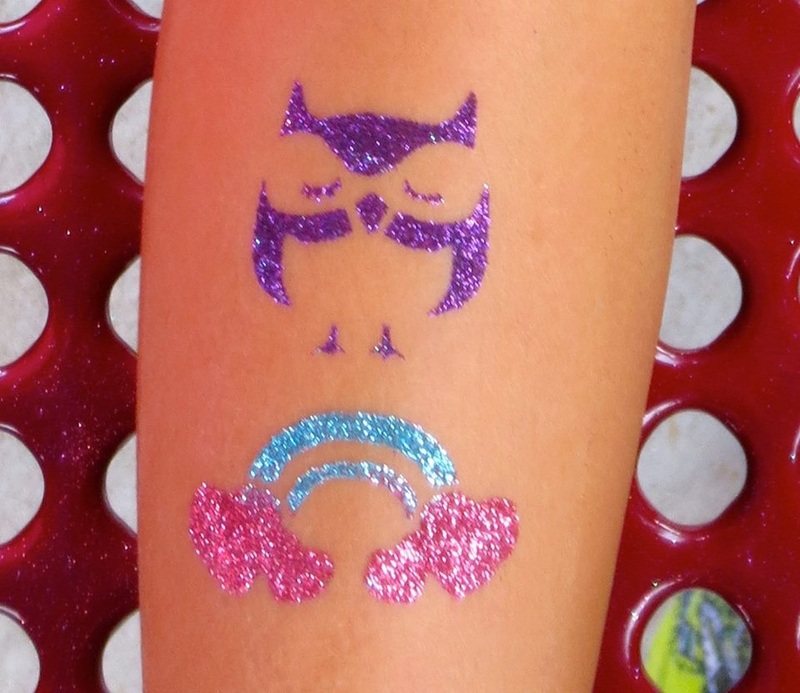 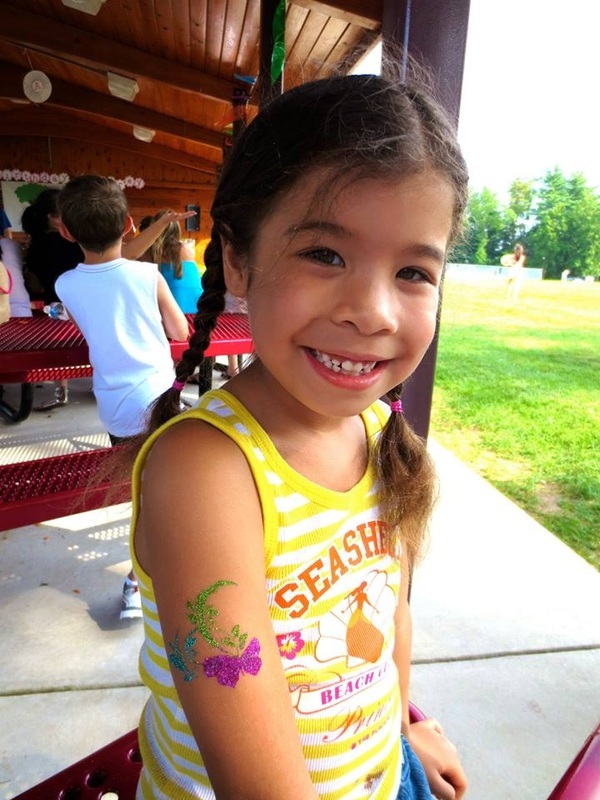 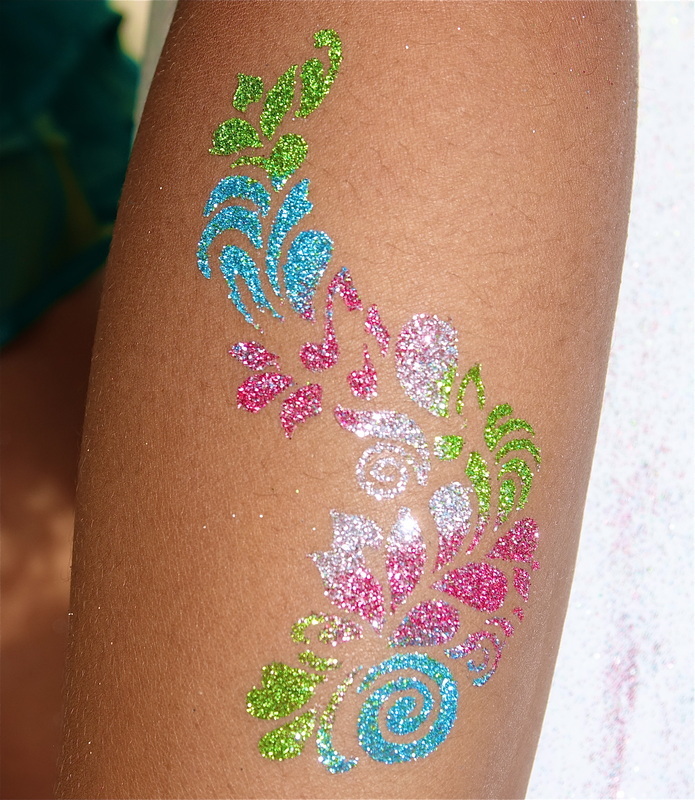 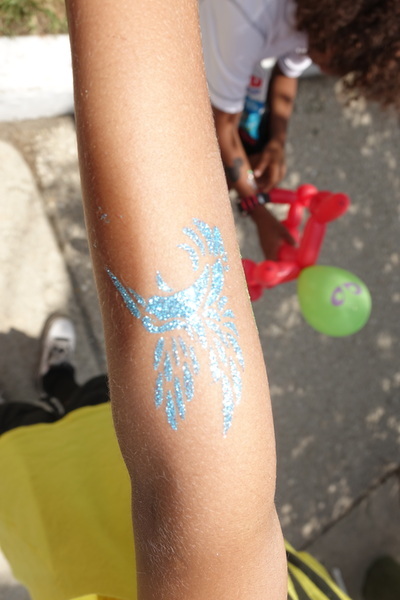 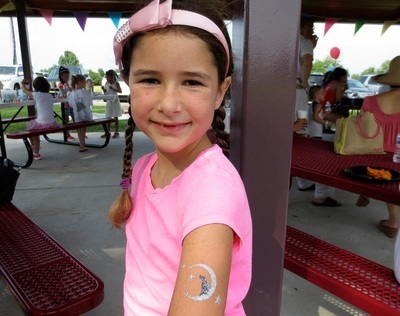 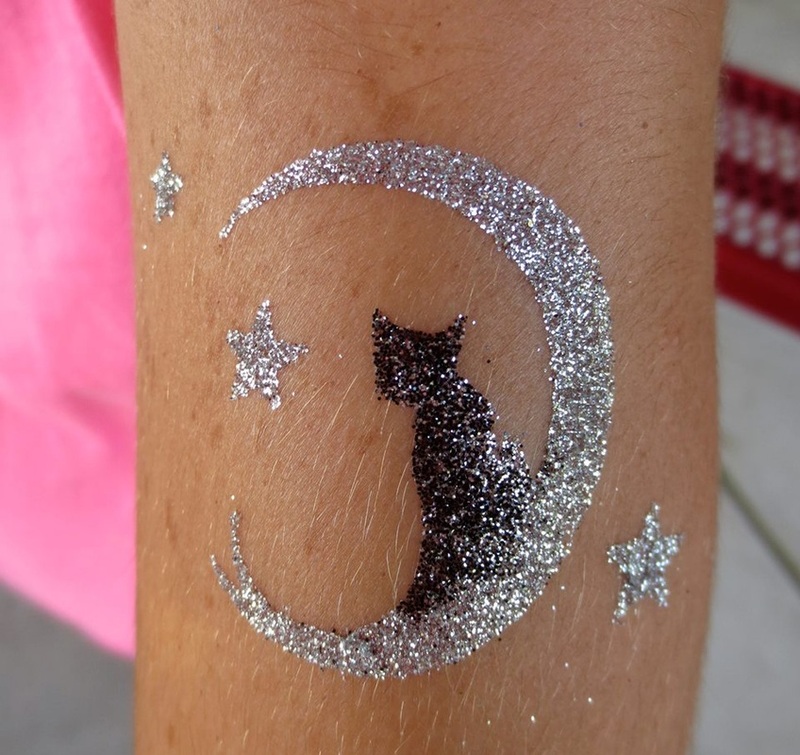 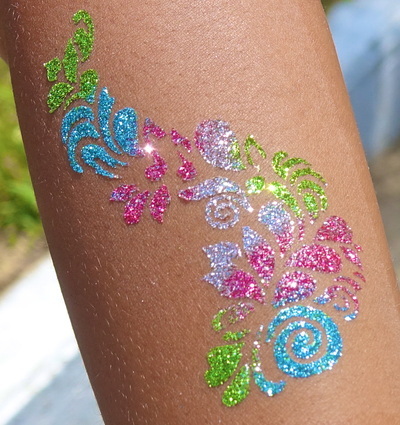 Our glitter tattoo artists Lana, Naomi, Annie and Kari are wonderful with kids and would love to bring a sprinkle of glitter to your parties. 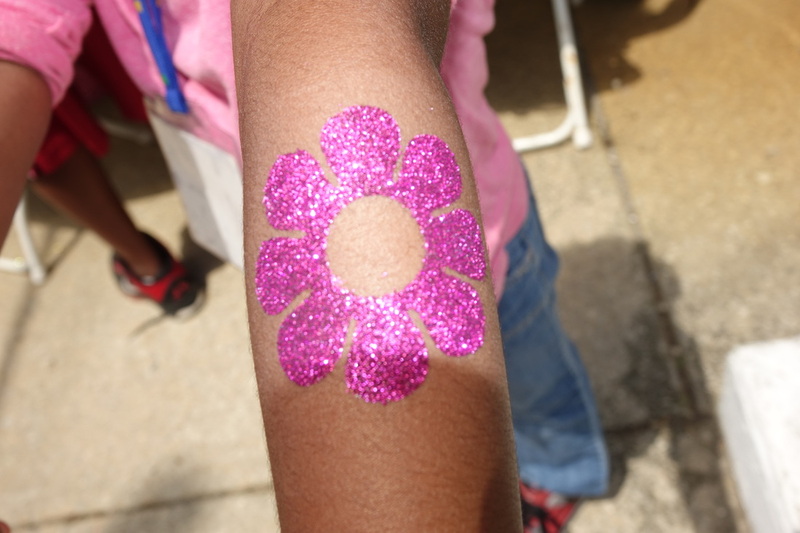 Check out some pictures below from previous events. 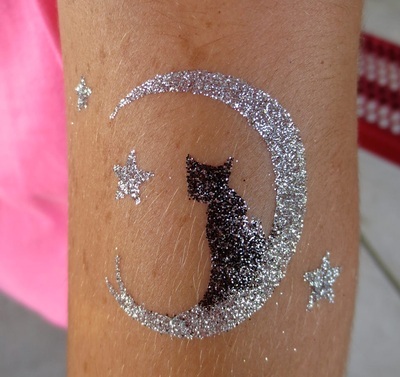 Click on the pictures to watch the whole gallery.